On 23 June 2012, the Trail Resort of La Vésubie was launched, first Trail resort in the Southern Alps and second in France. It is also the first area to be approved by the French Athletics Federation. What is a Trail Station? A Trail Station is an area dedicated 100% to trail running. - Marked trail-running itineraries with colour coding (green, blue, red, black) indicating the difficulty of the trail (number of kilometres and change in altitude). - A "Trail stadium" area around technical training facilities: slopes, fragmented trails, vertical kilometre (1,000-metre climb). - Hospitality desk to present the itineraries and provide advice. 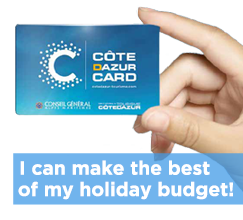 - Internet site to consulter the itineraries online, share times and impressions to compare performances. - 270km of 100% nature trails in the Mercantour National Park starting in many villages in the Vésubie Valley. 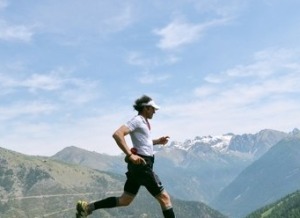 - 5 trail-running workshops (vertical km, grass trail, short and long threshold loops, slopes). Tel. 00 33 (0)4 93 03 21 28. Summer hours (July-August): every day, 9:30am - 12:30pm, 2pm - 7:30pm. Winter hours: Monday to Saturday, 10am - 12:30pm, 2pm - 6pm; Sunday, 10am - 12:30pm.